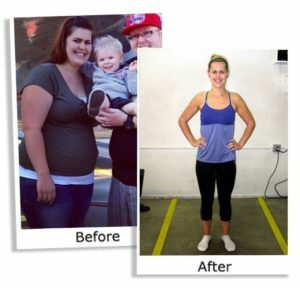 At Live Fit, we know that change doesn’t happen over night and that it is not easy. We have found that the best way to help a large number of people is through our boot camp classes. We treat each member like they are family and we get to know everyone personally. We know that we can only be successful if you are meeting you are getting better every day, and we have built a community that helps you do exactly that. I have so much more confidence in my ability to lose weight now. I see that my body fat has gone down and my clothes are fitting so much better and I have learned that I am able to push myself beyond my wildest dreams. I can’t thank my family, my trainers, and my Live Fit family enough for all of their continued support… and for the first time, I’m thanking myself! If we could only choose one word to describe our boot camps it would be community. But this isn’t just any community. We have worked hard to foster a community of people that will have your back, that will work hard for and with you, that will push you to reach your fitness goals and then celebrate your success. We have an amazing community of boot campers and that makes a huge difference in the success of our clients. Our trainers are part of this community too. We will get to know your name, get to know your fitness level, and get to know your fitness goals. Whatever fitness level you are at currently, our trainers are excellent at modifying the exercises to make sure that you are able to fully participate and get the best results possible. We feel that what makes us different from any other gym or any other fitness class is the relationship that we have with our boot campers and the family feel that we have fostered in our classes. “No more excuses,” is what I said the first day that I joined Live Fit. And now I can say that it has truly changed my life. The trainers have become my “fit family” and you can really tell that they care about everyone’s well being. I have made a commitment to live a healthier lifestyle and it has made me happier and healthier! The short answer is yes, it will work for you if you are willing to show up. That is your one job – to show up. If you do, we will get you to your goals. 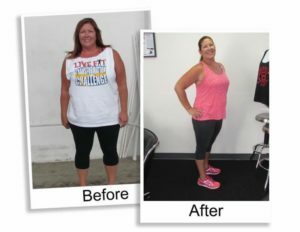 We have worked with a lot of clients over the years and we have done everything we can to take the pressure off of you to get the results that you are after. If you show up and put the effort in… you WILL get results. Period. How can we be so confident that you will get results? We know, because we have developed a system that flat out works. While most other boot camps decide on the fly what exercises they will do that day, we actually have a 7 phase system that is specifically designed to get you into the best shape of your life. Combine that with the expertise of our trainers and the accountability that comes from our amazing community and you will be amazed at how quickly you see a change in your fitness levels. No guess work, no wasted exercise or wasted effort, just results. 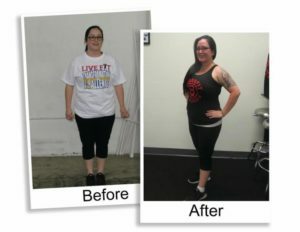 Live Fit Wellness Center and its staff have changed my life. I came to them just 5 weeks after having my 2nd baby. I was overweight, lethargic and unhappy with myself. After attending their bootcamp program 5 days a week for 3 months, I’m proud to say I’ve lost 70lbs and am in the best shape of my life. Not only did they help me transform my body, but also my mind and view of my self. I highly recommend Live Fit Wellness Center!